The Philadelphia Baseball Review released its College Player of the Week awards for the period ending March 25. 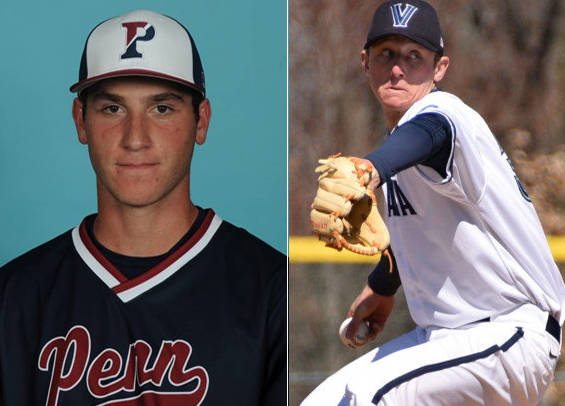 Penn junior catcher Matt O'Neill was named the Philadelphia Baseball Review's Hitter of the Week, while Villanova senior right-handed pitcher Ryan Doty was named Philadelphia Baseball Review's Pitcher of the Week. O'Neill finished the weekend for the Quakers 6-for-13 (.461) with a pair of home runs, seven RBI, and four runs scored. Doty tossed eight strong innings for the Wildcats in a 3-2 loss to NJIT, surrendering two earned runs on five hits. He walked a pair and struck out nine. Doty was last named Pitcher of the Week by the Philadelphia Baseball Review on February 19. Over six starts this season he's 2-4 with a 3.10 ERA.